Complete this form to request a full-color Jubilee Harps product catalog. Alternatively, you may contact us Toll Free at 1-866-447-4277 to place your request. We apologize, in advance, for any inconvenience that this may cause. If you have questions about payment options or our limited warranty, check out the Payment Options page in our online store. Thank you for your interest in Jubilee Harps! 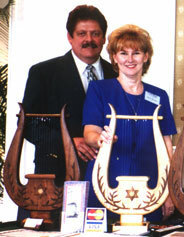 CopyrightÂ© 1998-2009 Jubilee Harps, Inc.